Regeneron is to collaborate with Inovio to investigate a three-way immunotherapy combination against glioblastoma multiforme (GBM), an aggressive and hard-to-treat brain tumour. Regeneron’s drug is bringing its PD-1 inhibitor, REGN2810 to the partnership, and will combine this with two of Inovio’s candidates: INO-5401 T cell activating immunotherapy encoding multiple antigens and INO-9012, an immune activator encoding IL-12. For Regeneron, it needs to find a niche for its drug amid intense competition from established PD-1 drug such as BMS’s Opdivo and Merck Inc’s Keytruda, and no drug in the class has yet shown efficacy against GBM. Last month, BMS announced that Opdivo had failed its phase 3 trial in patients with first recurrent of the brain tumour, finding it did not improve overall survival compared to Avastin monotherapy. Meanwhile Merck & Co unveiled a partnership in January which will see it combine Keytruda with Agenus’ cancer vaccine Prophage in GBM. Regeneron already has a partnership with Sanofi to develop REGN2810 alone and in combinations, but is also free to forge new partnerships. Inovio and Regeneron will recruit people with newly-diagnosed GBM, with the hope that the three-way combination can help lengthen survival for these patients. Currently the prognosis for patients receiving standard of care is 15 months, and the average five year survival rate is less than 3 per cent. “The unmet need for effective therapies in GBM remains extremely high. Certain immune checkpoint inhibitors have shown efficacy in certain cancers, but evidence increasingly suggests that the benefit of checkpoint inhibitors can be enhanced when used in combination with therapies that generate T cells,” said David Reardon, MD, Clinical Director of the Center for Neuro-Oncology at Dana-Farber Cancer Institute and Professor of Medicine at Harvard Medical School. Inovio will be in sole charge of the trial, and Regeneron will supply REGN2810. Inovio and Regeneron will jointly conduct immunological analyses in support of the study. 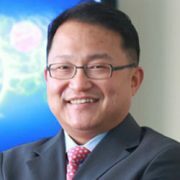 “I am a strong believer in this combination regimen approach in immuno-oncology: use Inovio immunotherapies to generate killer T-cells to turn ‘cold’ tumours into ‘hot’ tumours, then block T cell suppression via checkpoint inhibition,” said J. Joseph Kim, PhD, Inovio’s president and chief executive. The company suffered a setback in October when the FDA placed a clinical hold on its proposed phase 3 trial of its VGX-3100 for HPV-related high grade cervical dysplasia. The US regulator was apparently concerned with the shelf-life of the disposable parts of the Cellectra 5PSP device used to deliver the immunotherapy. Inovio said recently that it is generating the necessary data to reassure the FDA, and aims to begin the trial in the first half of 2017. Other trials underway against GBM include a promising CAR-T trial published in the NEJM in late 2016, which showed a dramatic shrinking of tumours in the brain and spine, an effect which lasted for seven and a half months.